Give your students opportunities to think about math in fun, relevant ways. 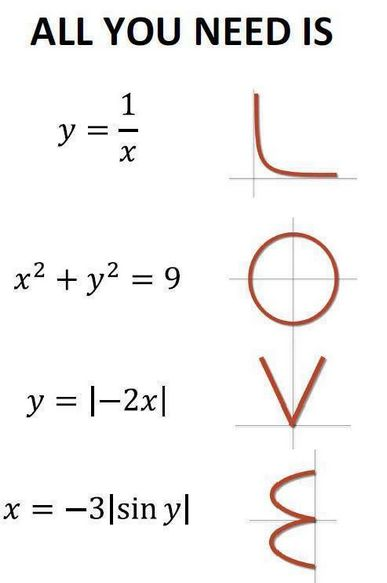 Love is in the air, and since you love math as much as we do, we're sharing some Valentine's Day math activities that your students will love too! Teaching the Pythagorean Theorem? Your students can determine the maximum length of a rose that will fit into a box in this lesson (Activity 4.3). Students also love the Maximum Chocolate Party Game, which requires them to divide and compare fractions in a practical and concrete context. Have your Algebra 2 students graph the functions in the image on the right to uncover what it reveals. It'll blow their mind! What are your favorite Valentine's Day math activities? Let us know in the comments below.